As the cheapest material that you can use, the recommendations for this infill advise that you lay 1-2 pounds per square foot. It comes in a form that reflects the colour and texture of the sand that you find on a beach however is it much more durable and is very handy when it comes to protecting your turf again the suns UV rays. Using sand that has been coated in acrylic as an infill has become very popular and is said to help protect against bacteria that can cause your turf to develop horrible smells, stains and affect its integrity. A type of infill that is often preferred by pet owners, Zeofill is 100% natural and come directly from the planet itself which means that it does not harm the environment during production. In fact, it has negatively charged honey, or a comb molecular design format, that actually allows it to absorb pet urine and trap their gases! With an outstanding cooling option, walnut shell infill is particularly good at absorbing water whilst not expanding at the same time. Even during the warmer months of the year it does a very good job at keeping your grass incredibly cool. It is made from an organic food component however all of the allergens are removed which means that the finished infill is as safe as it can possible be! 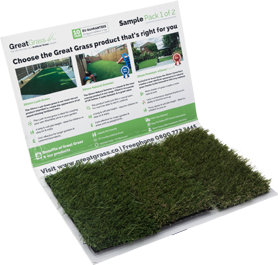 If you’re looking for the best artificial grass around, get in contact with a member of the Great Grass team today! We understand that every customer is different which is why we always put in the time and effort required to ensure that you find the perfect materials necessary. Soon enough, you’ll have the best lawn in the neighbourhood!